David R. Allen’s career has taken him around the world to perform in Germany, Poland, the Middle East, and Japan in addition to numerous concerts in the United States. 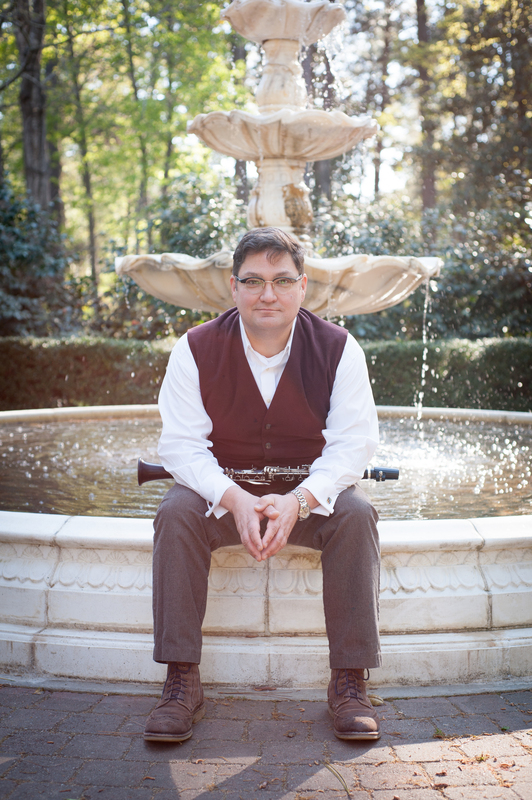 He is principal clarinet of the Carolina Philharmonic and plays second clarinet in the Western Piedmont Symphony. He has performed with the Greensboro Symphony, Winston Salem Symphony, Fayetteville Symphony, Salisbury Symphony, North Carolina Symphony, the Pittsburgh Opera Orchestra, and the Opera Company of North Carolina Orchestra. He has performed at festivals and conferences such as ClarinetFest, the International Society of Composers’ Conference, and the Percussive Arts Society International Conference. He is currently clarinet instructor at Davidson College and Appalachian State University. David earned a Bachelor of Arts in Music from Indiana University of Pennsylvania, a Master of Music from Carnegie Mellon University, and a Doctor of Musical Arts from The University of North Carolina at Greensboro. In 1998, he attended the final session of the European Mozart Academy in Poland where he studied chamber music and worked with such notable coaches as Aurel Nicolet, Michel Lethiec, and Kirsten Meyer. His primary clarinet teachers are Thomas Thompson, Kelly Burke, Edwin Riley, and Edwin W. Fry. He studied saxophone with Susan Fancher and Steve Stusek.